I joined the Queensbury Queens Facebook page, does that make me a member? No. Please go to the membership section of the website and you’ll find all the information that you need to join us. A roadworthy bike which can be a hybrid, mountain, gravel, road or electric bike. It is advisable on longer rides (over 20 miles) to use a road bike. If I’m a member of another club can I still join? Yes you can. No problem at all. 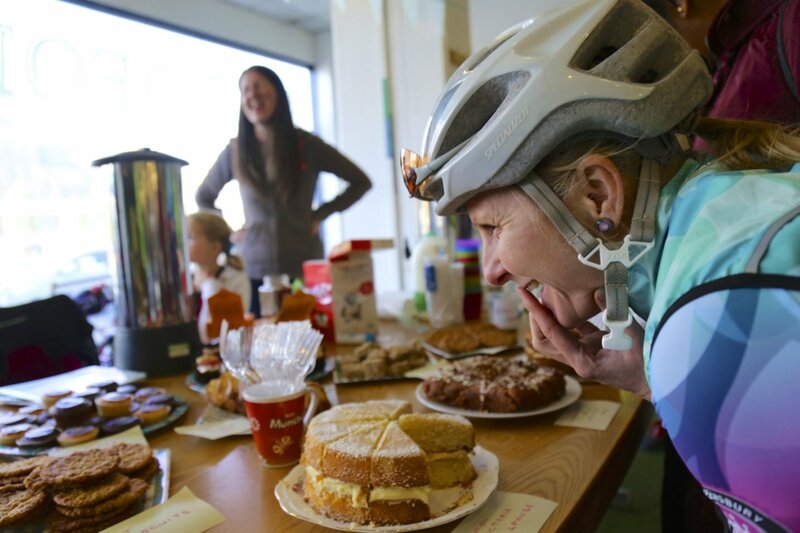 If I eat too much cake at the café will I regret it when I get back on my bike? No No No. There’s no such thing as eating too much cake!! No discounts are given for joining part way through the year but if you join in the April or May we will carry over your membership for a full year. You can ride with the Queens on a trial basis for a maximum of 2 rides. If you wish to continue riding with the Queensbury Queens you should purchase membership.